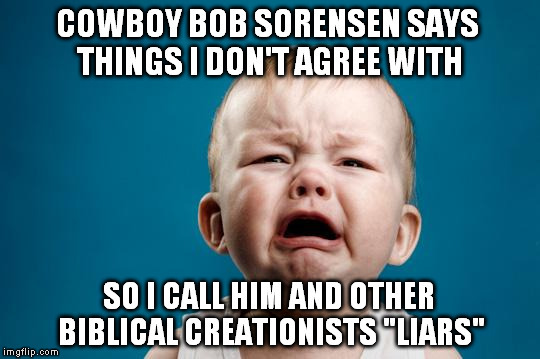 Included in the Terms of Service for being a biblical creationist and going against the evolutionary consensus includes acquiring stalkers, hate mail, ridicule, libel, and more (which really stinks when those things are coming from professing Christians, but we expect that kind of activity from atheists). But hey, the Terms of Service are clear about unbelievers (John 8:44, 1 Cor. 2:14, Eph. 2:3, Psalm 53:1, Rom. 1:18-22, Eph. 2:12, 2 Tim. 2:26, 1 John 5:19). There's a principle called the "noetic effect of sin" or "noetic effect of the fall", where sin touches all aspects of someone's life, including their thought processes. Keep an eye out, there are people who can be brilliant for the most part, but when they talk about God, their reasoning is the equivalent of kicking a fresh cow pie on a hot day. 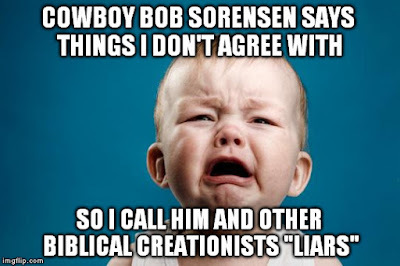 In their drive to rail against creationists or certain Christians, you can see people who are so consumed with hate that they cannot (or often, will not) distinguish between a disagreement on the interpretations of scientific evidence and an attempt to deceive. (Calling someone a "liar" without evidence, just to be contentious and manipulative makes the accuser into the liar. People who claim to love science seem to forget that little thing called evidence.) Einstein and Bohr had spirited physics discussions, but I don't recollect seeing any record of one calling the other a "liar". True science thrives on challenges to the consensus, and existing theories are strengthened or discarded (except evolution, which is a metaphysical worldview used to justify rebellion against God). Ignaz Semmelweis said that women were dying from infections after childbirth because the attendants were not washing their hands between patients. He was proven right, but the consensus view prevailed. He and others were vindicated much later, especially through the work of Joseph Lister. Science needs mavericks, not conformists. Mockery and ridicule exist in science, but they increase when someone dares to say that the Bible has the answers. Germ-to-gunslinger evolution is false, and there is a Creator who makes the rules. It's our responsibility to get into his Word and find out what he has to say.